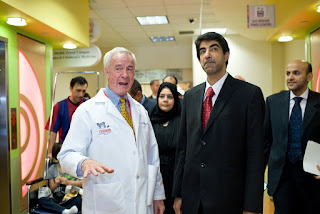 Dr. Timothy Kane has joined the Sheikh Zayed Institute for Pediatric Surgical Innovation as a principal investigator in the Minimally Invasive Therapy Program in the Bioengineering Initiative. 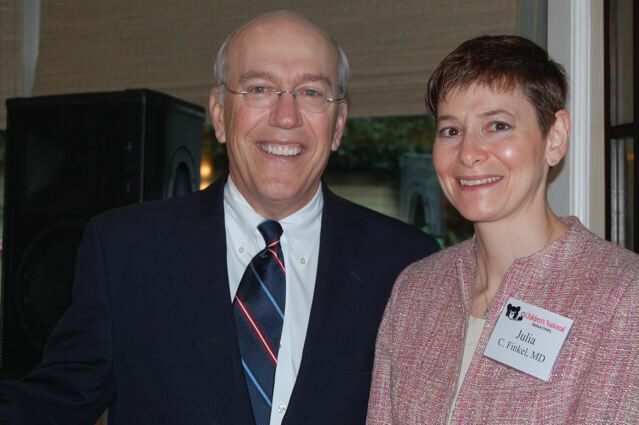 He is also associate chief of clinical affairs and program director of the Pediatric Surgery Fellowship Program in the Joseph E. Robert, Jr., Center for Surgical Care. 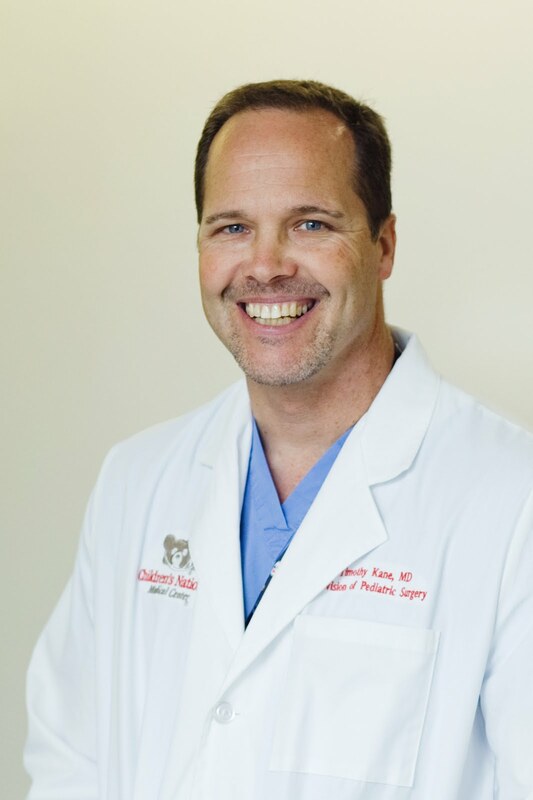 Dr. Kane comes to Children’s National Medical Center from Children’s Hospital of Pittsburgh, where he was chair of the Committee on Surgical Innovation, clinical director of the Division of Pediatric General and Thoracic Surgery, and director of Minimally Invasive Surgery. Read the news release. 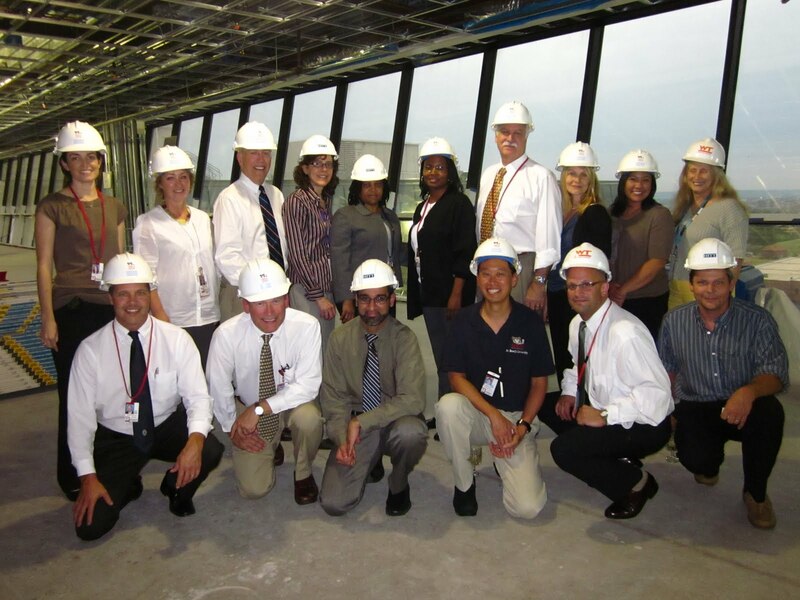 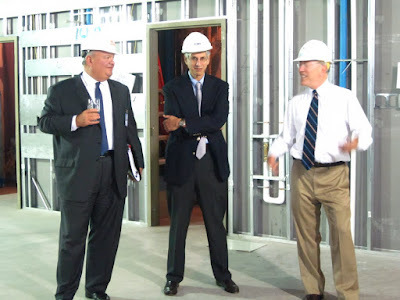 On the one-year anniversary of the announcement of the Sheikh Zayed Institute, staff and physicians examine the progress of the sixth-floor research space that will house the Institute in 2011. Front row, from left to right: Dr. Timothy Kane, Dr. Craig Peters, Dr. Nabile Safdar, Dr. Raymond Sze, Dr. Evan Nadler, and Dr. Eric Hoffman. 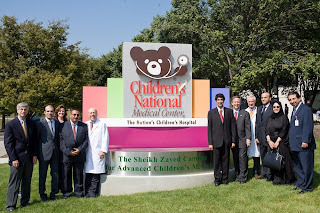 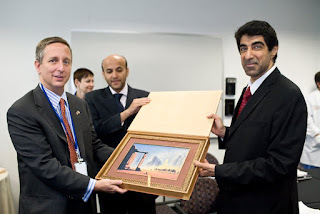 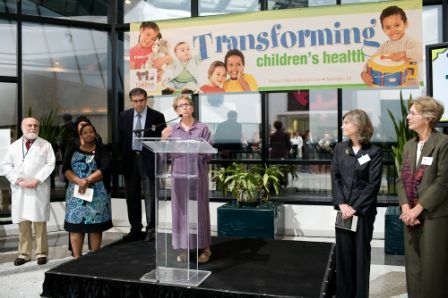 From left to right: Andrew Blair, chairman of the Children's Hospital Foundation Board; Dr. Mark Batshaw, director of the Children's Research Institute; and Dr. Kurt Newman, senior vice president at the Joseph E. Robert Jr. Center for Surgical Care and the Sheikh Zayed Institute for Pediatric Surgical Innovation.